Management has its share of perks and rewards. Managers are usually in a better position to influence and lead change. In most organizations, being a manager means a better compensation package and not having to sit in a cubicle. Most importantly, there’s nothing like the satisfaction of helping an individual or team reach their goals and perform at their best. Dealing with performance problems has been and always will be the primary source of a manager's sleepless nights. While these issues are never easy, they don’t have to be so hard. Many performance problems can be prevented with better selection practices and then by setting clear performance expectations. If you identify a problem, the sooner you engage in constructive feedback, the faster you can facilitate a change in behavior. If the behavior does not improve, a transparent, fair and time-boxed progressive discipline process is called for. Postponing discussions or avoiding the discipline process prolong the problem and add to your sleepless nights. Confront performance problems as soon as they appear in the workplace, and you will rest easier. There is no sleep aid for this one. No matter what you’ve done (see number one), it’s always going to be gut-wrenching. No manager should ever get too comfortable with this responsibility. Make sure you have clear policies and training for severe conduct violations. For layoffs, make sure you use a fair and consistent process, get training on how to conduct the discussion respectfully, and provide a decent severance and outplacement package. Choosing between your final candidates can be agonizing. If you choose wrong, you’re going to end up dealing with a few of the other problems on this list. The cure? Use a suitable selection process — do not “wing it”. Get trained in selection interviewing; consider using validated selection assessments; get multiple inputs, offer realistic job previews or shadowing, and work with a good HR pro or recruiter. If you do screw up (and we all do), then the best thing is to come clean and own up to it. Cover-ups are usually worse than the mistake. Live with the consequences, learn from your mistake, and get on with it. If one of your employees cross over the line of ethical behavior and do something unethical, confront the issue immediately and get help from your HR pro or compliance team. Covering the topic of how to deal with a bad boss would take up more time than reading this would allow. Let’s assume most bosses are reasonably competent with good intentions. Bosses and people, in general, don’t like being told they are wrong. If that’s your goal in a confrontation (to convince your boss you’re right and they are wrong), then it’s not going to be a productive discussion. Try putting yourself in your boss’s shoes, and offer your idea as an alternative that will help them achieve their objectives. Also, listen and keep an open mind. Who knows — your boss may have information that would lead you to reconsider your idea. Most importantly, work on establishing a foundation of trust and mutual respect with your boss. That way, you’ll be able to have disagreements in a safe and productive environment. As managers, we all want our employees to collaborate, work as a team, and play nice in the sandbox. 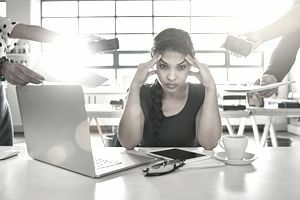 When one employee comes to you with complaints about another employee, it puts the manager in an awkward position of having to arbitrate the dispute. It is important to distinguish between task or personal conflict when alerted to a situation among team members. Task conflict is proven to be healthy and leads to the consideration and development of alternative ideas. Personal conflict, however, is toxic to teams and must be eliminated immediately. Many project managers and team leaders work hard to clarify team values early in the formation process. The values outline acceptable and aspirational behaviors, and team member support of the values is a requirement. If the conflicts are personal, conduct a fair, frank discussion with the involved parties and indicate that behavior adjustment is expected immediately. If the conflict continues, eliminate the individuals from the team. A significant amount of team member conflicts can be avoided with a team member recruiting profile that clearly describes the need for teamwork and collaboration. Expected behaviors should be identified in detail, and the rewards and consequences that reinforce these expectations must be communicated. As a final caution, beware the “star” performer that’s consistently ticking off their co-workers. If you do, then you are inviting conflict to the team party. The identification and reinforcement of team values is your best preventive medicine for team conflict. If it emerges, deal with it quickly, firmly and fairly. Are you starting to see a trend here? Yes, confrontations — those messy people issues — are probably the single aspect of work that keeps managers up at night the most. That’s why many managers tend to avoid them. In some cases, that’s not a bad strategy (i.e., develop more tolerance, acceptance, etc…). However, when the stakes are high, avoidance is a terrible strategy. Not all confrontations are bad — a little constructive conflict is healthy for a team. It’s always a challenge when we have to leave our comfort zone and feel “incompetent” all over again. If you never do anything new and different, you’re not developing. The most impactful way to develop as a leader is new jobs and challenging assignments. “Learning agility” is not something anyone is born with — it can be developed over time. When you are in a new role or doing something new, put a development plan in place to ensure your success. There are usually two to three “subject matter experts” that you can learn from, as well as books, courses, and online resources. Nowadays, with social networking, you can easily find someone that’s willing to help by sharing their expertise in whatever you need to learn. Great leaders are always learning and are not afraid to admit it. Don’t wait until your star employee shows up with an offer letter. By then, it’s too late. Make sure your high potential employees are paid what they are worth, are challenged, supported, and are learning. Let them know you care and how much you appreciate them. Keep in mind that star performers will eventually get promoted or leave for better opportunities. That’s okay, that’s the rewarding part of being a great leader (as long as they are moving on for the right reasons, not because they’re dissatisfied). Take care of your health and always keep a perspective on the things in life that matter most. Managers that don’t take vacations are not benefiting from the opportunity to recharge their batteries. They also set terrible examples for their employees, which can lead to burning them out as well. A primary cause of burnout is job satisfaction, not hard work. If you’re doing something you genuinely hate, then make a plan to transition to something else. Life is too short. We don’t need to settle for a job we hate.